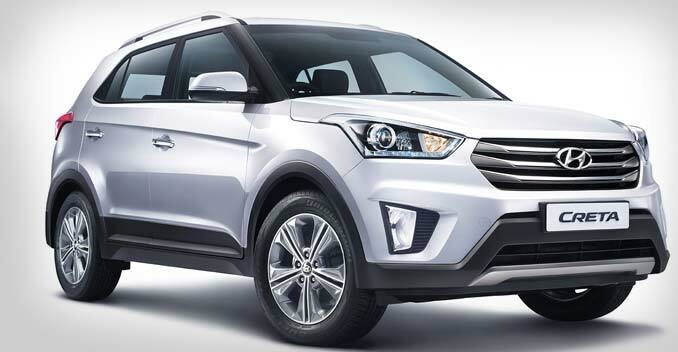 There's no denying that the Hyundai Creta is the most-awaited vehicle of the year, and the reason we say this is because of the buzz it has created across India since the company announced its upcoming launch. Interestingly, the vehicle has already received over 10,000 bookings even before its launch. Now that the vehicle's launch is just a day away, here's everything you need to know about Hyundai's first-ever compact SUV for the Indian market. To be offered in three engine options - 1.4-litre CRDi diesel, 1.6-litre CRDi diesel and 1.6-litre VTVT petrol - the Hyundai Creta will be launched in a total of 6 trim levels - Base, S, S+, SX, SX+, SX (Optional) and 11 variants. While the 1.4-litre diesel and 1.6-litre petrol models will come with a 6-speed manual gearbox, the 1.6-litre diesel will get a 6-speed manual gearbox and a 6-speed automatic transmission. This makes it the only diesel automatic car in its segment. Just so you, these engines are the same that do duty on the Hyundai Verna. The standard features on offer will be central locking, 2-Din music system, 16-inch wheels, foldable key, etc. Whereas the top-of-the-line Hyundai Creta model will get smart key with push start-stop button, 17-inch diamond-cut alloy wheels, projector headlamps, leather seats, audio video navigation system (AVN), 5-inch touchscreen audio system, leather-wrapped steering wheel with audio and phone control buttons, 6 airbags, reverse parking camera, projector headlamps, anti-lock braking system (ABS), electronic stability control (ESC), vehicle stability management (VSM), hill-start assist control, etc. We expect the base diesel variant of the Hyundai Creta to be priced at ₹ 9 lakh, whereas the top-end model might cost around ₹ 14 lakh. The petrol model, on the other hand, might start at ₹ 8.50 lakh.